Ginger High- Books R Us: REVIEW OF THR3E BY TED DEKKER. REVIEW OF THR3E BY TED DEKKER. In Thr3e , seminary student Kevin Parsins is leading a good, if not virtuous, life. But like all people, Kevin has his secrets. And someone wants them revealed. While driving home from a day at graduate school, Kevin receives a call from a mysterious stranger who calls himself Slater. Slater demands Kevin confess his sin in the next three minutes or the vehicle he is manning will be blown to pieces. Thus starts a harrowing chain of events. After narrowly escaping his exploding car, Kevin continues to receive phone calls from Slater, each with another riddle, another consequence, and another three minutes to confess his sin.The problem is Kevin is unsure of what that sin might be. And Slater's cycle won't stop until he figures it out. TED DEKKER is the author of twenty-two novels, with more than 3 million copies of his books sold to date, 1 million of them sold in 2007 alone. Known for adrenaline-laced stories packed with mind-bending plot twists, unforgettable characters and confrontations between good and evil, Dekker has earned his status as a New York Times bestselling author. What a fantastic psychological thriller. I have never read any of the author's other books but I definitely will in the future. The action takes place over a few days and it kept me at the edge of my seat. I could not put it down due to the many twists and turns that were happening throughout the book.The ending really surprised me and throughout the book, I thought that had it all figured out but something else was thrown in that changed it all. If you like thrillers this is the book for you. There was a movie inspired by the book in 2006 and I hope that it is as good as the book. I am heading over to Netflix to check it out. So if you like thrillers, this is the book for you. Disclaimer: I received a free copy of the book by the Hachette Book Group for my honest review and I was not compensated for my review. I LOVE Ted Dekker's books. Thanks for the review. I was really surprised at the ending also. I'd love to have you stop by and check out my blog - I love yours and am now following you on GFC, Twitter and FB. We'll have to stay in touch. I have a family friendly book review/giveaway on Family Literacy and You @ http://familyliteracyandyou.blogspot.com/2010/12/tip-of-the-week-read-book-lately-linky.html. 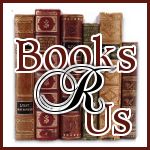 You are welcome to link up any book reviews/giveaways you have. Thanks! Tina "The Book Lady"
I've read and few of Ted Dekkers books..gonna have to add this one to my TBR list!! Stopped by from Cym's Book REview Party! I haven't read Dekker yet, either, but I DO have this one for review and "Black" in on my TBR piles - I think it will be a great read and this review just totally reinforced that thought! Thanks so much!